“At some point they’re all going to transition. We want to make sure their transition is as seamless and smooth as possible,” Whitney said. 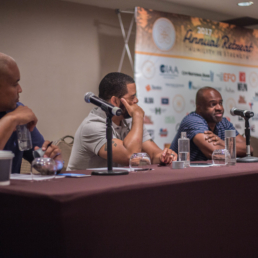 To get their clients prepared for the football to life after football transition, NFL agents Adisa Bakari and Jeff Whitney hosted their annual Sports & Entertainment Group business retreat with a ‘State of the Union’ theme. The retreat tackled current issues within the league while concentrating heavily on preparing players for life after football.